This episode we talk about how the world’s worst extinction was caused by microbes, mandrills that don’t groom those with sickly faeces, Neanderthal’s making jewellery, and their chat with Dr Rob Kinley about his research feeding seaweed to cows to neutralise their methane emissions. Methane special! Mandrill grooming — “Mandrills won’t groom a monkey that smells bad, and that goes a long way toward disease prevention.,” from Inverse. Full paper, here. Neanderthal jewellery — “A bone from a raven’s wing with seven regularly spaced notches carved into it is the strongest evidence yet that Neanderthals had an eye for aesthetics. Evidence that Neanderthals used pigments, buried objects alongside their dead, and collected bird feathers and claws had been taken as signs of behaviours that were once considered unique to our species of Homo sapiens…,” from New Scientist. Full paper, here. 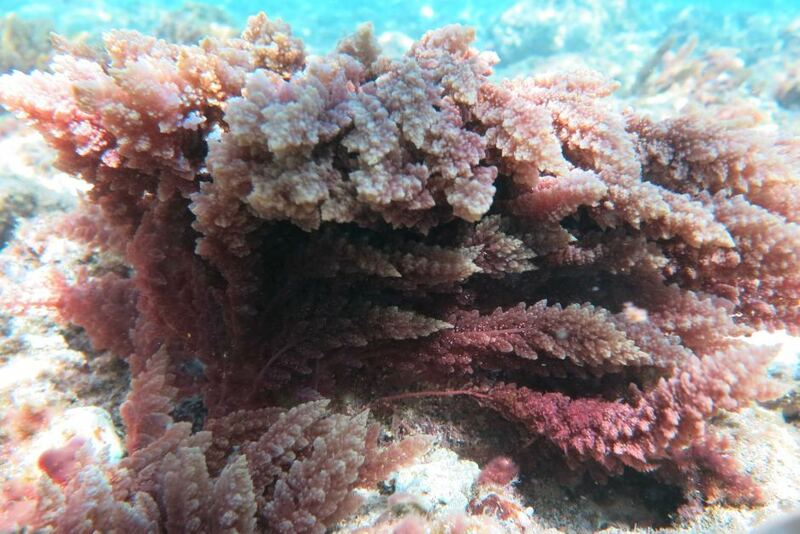 Asparagopsis taxiformis, one of the seaweed/algae species investigated by Rob. We speak with Dr Rob Kinley, who’s researching various species of algae to neutralise the production of methane from cows, a significant contributor to global warming. For more on Rob’s research check out this blog. What does this have to do with nickel? Well, as part of my recent work as a mining geologist, which involves studying the world’s most valuable nickel ore deposits in Siberia, I uncovered evidence of a link between ore genesis – how the nickel got there – and the onset of the Great Dying,” from our blog. The full story from the scientist herself, here.